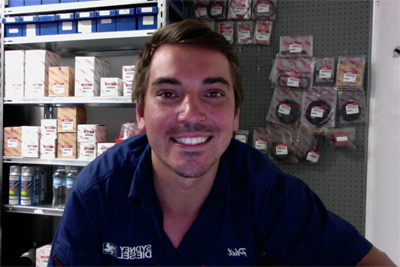 Sydney Diesel Marine was founded in 2011, by Marine Mechanic Phillip Lulic. With over 10 years of Industry experience under his belt, Phillip has a strong foothold in the marine and boating industry, stemming from a family passion for Water Ski Racing. Phillip began his career on the Northern Beaches, acquiring a comprehensive knowledge of 12V electrical systems from fitting out new vessels. Phillip completed his apprenticeship with Wayne Newman Marine. Working with retired industry expert Wayne Newman, Phillip discovered his passion for Yanmar and his drive for quality workmanship. Sydney Diesel Marine has a workshop based in Cremorne, Sydney Metro area, which is close to the Main Harbour and Middle Harbour. Sydney Diesel Marine has clientele along the Central Coast, South Coast, Pittwater and can travel with ease. SDM also provides services to vessels on swing moorings and marinas with the aid of a workboat. As Sydney Diesel Marine specialises in the Yanmar brand, the business is well resourced in specialist tooling and equipment to complete the job proficiently.